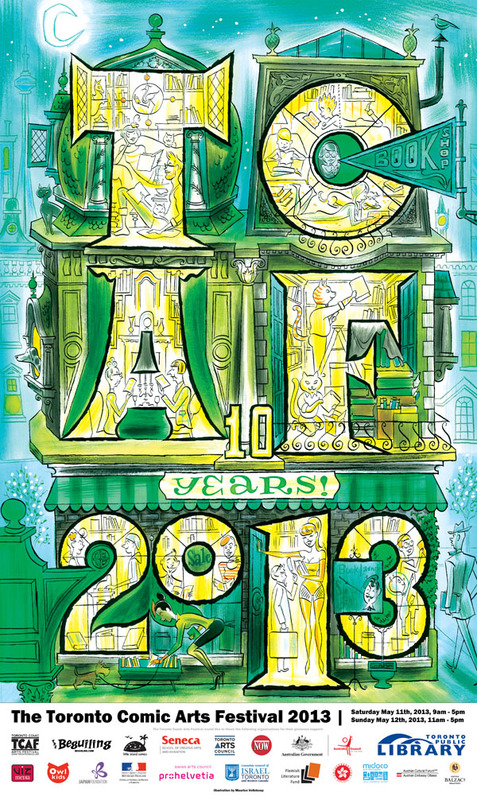 Take home a copy of the 2012 TCAF poster, which beautifully combines Toronto, comics, and the joy of reading. 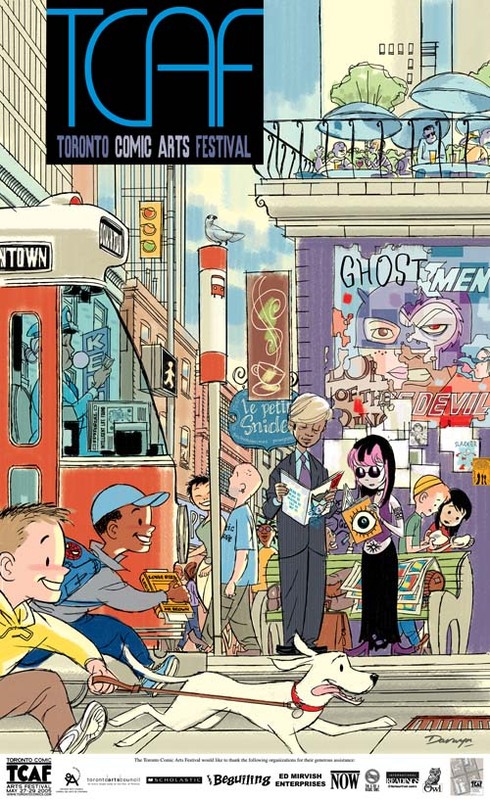 This poster was created in tandem by 2012 TCAF Featured Guests Fabio Moon and Gabriel Ba. Festival data (e.g. Location, Time, Sponsors, etc.) 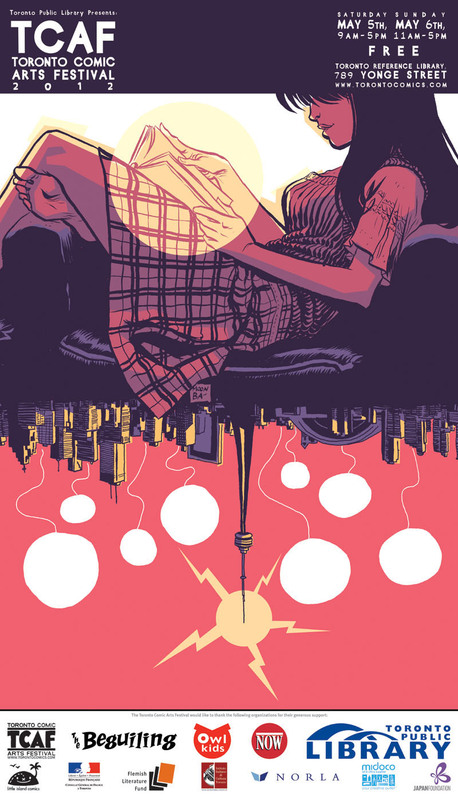 are sectioned off in the top and bottom of the poster, and can be clipped off if you're looking for just some eye-popping art to hang on your walls.